Browsing through the old pics, you noticed something not so pleasant about your looks. It seems that you used to have a lot more hair in the past. There are various causes for hair loss and thinning. It’s usually associated with aging and male pattern baldness. However, women and young people suffer from hair loss and hair thinning, too. It can be the everyday stress of our hectic lives, a hormonal imbalance, the tight hair updo, a vitamin deficiency, or just bad genetics. How to get thicker hair then? There are different remedies and solutions for this problem. We will try to offer some permanent solutions and help you regain your hair thickness. Hair extensions, a good haircut, not using heavy styling products (that weight down hair) and little styling tricks are good instant solutions. While they might make your hair look instantly thicker, the problem is that the results are temporary. In the end of the day, your hair will still not be thick and voluminous. Instead, try to change some habits and introduce some new ones in order to get more permanent results. You probably know how detrimental stress is for your body, yet somehow we learned to lead stressful lives. To work hard, to rest little, to spend every moment of our lives accomplishing something and to get very anxious if we don’t manage to tick off everything on our to-do lists. It’s no wonder we are often under a lot of stress. Turn off your phone and email notifications, start taking yoga lessons, go for a walk in nature, put spending quality time with your loved ones on your to-do list and tackle your personal and professional problems once and for all. We are what we eat. Sometimes the vitamin/mineral deficiency is the reason why your hair has got thinner, so start writing down everything you have eaten. What kind of food do you eat? Is your diet good and rich in vitamins? If the answer is not, it’s time to change something. Your diet does not need to be strict and you don’t need to eat a salad for every meal or protein shakes. Just pay attention to what you eat, and try to include some of the foods from this and this list. Can’t bother with a healthy diet? Taking two vitamin pills after a meal is a simple and easy way to ensure that you are taking all the vitamins and minerals that are important for your hair on a daily basis. In the past, the common solution for hair thinning was taking prenatal vitamins. These pills include some of the vitamins that promote hair growth. However, now there is a new generation of vitamin pills designed specifically for hair. One of the hair supplements that promote thicker hair is CatalaseNow. CatalaseNow contains a blend of vitamins, minerals, herbal extracts and a powerful antioxidant Catalase. Start taking hair supplements if you want to increase your chances for healthier, thicker, fuller hair. Do you have any additional advice on how to get thicker hair? This entry was posted in hair care and tagged fuller thicker hair, get thicker hair, getting thicker hair, hair care, hair care routine, hair growth, hair growth vitamins, hair loss, hair thickening vitamins, how to get fuller hair, how to get thicker hair, supplements for thicker hair on May 19, 2017 by Nina Ivanovic. While sometimes it can be hard to determine the cause of thinning hair (Is it the tight updo? Is it family genes? Does it have to do with hormones? Inevitable stress?) and find the remedy, one thing is sure – it is unpleasant and everyone would like to avoid it. There aren’t many good things about losing your hair, if any. On the other hand, the problems with thinning hair are pretty obvious and clear. It changes your appearance in the ways you don’t want and can be very inconvenient. Here are four problems only men and women with thinning hair can relate to. Your scalp can get sunburnt. Forgot to bring a hat or a cap, or didn’t expect the sun was so strong? Too bad! With less hair to protect your skin, you can easily get sunburns. How annoying is that? What’s worse – any kind of burn will make your scalp dry and flaky, and unlike your face, it’s trickier to moisturize it and repair the skin. If you have long hair, your bun looks tiny. Unfortunately, in the world of unrealistic ballerina buns and extensions, your tiny hair will not live up to beauty standards of man/woman buns. You have to stick to other hairstyles or find a way to make your hair look thicker. 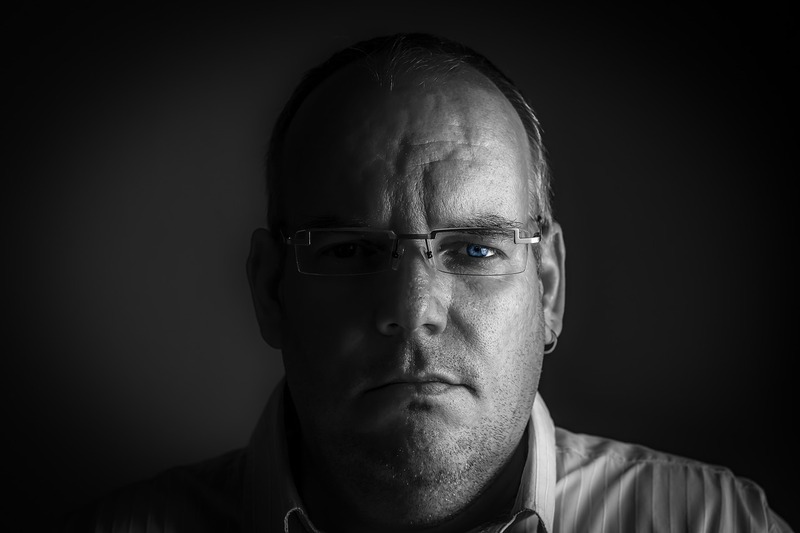 Thinning hair makes you look older. It’s an unpleasant truth. Much like gray hair, this is something associated with aging. The less hair you have on top of your head the older will people perceive you. As it’s usually perceived as the sign of aging and something that happens in the late thirties, and it can be beyond frustrating if you are in your early twenties and look a decade older. If you don’t have good family hair genes and not as much hair as you used to, your options are a bit limited. You have to stick to hairstyles that look good on thin hair. (Forget about long hair!) Truth be told, people with thick hair have much more choice. Since there are various causes of hair thinning, there are different remedies. Some will work for you, some will not. A simple solution is to try hair pills which promote hair growth. Whereas they are not magical and will not make your hair fuller and thicker overnight, they contain important vitamins, minerals, and herbal extracts that support hair growth and a gradual change in the way you look. CatalaseNow is a natural hair supplement which is new on the market. It contains super powerful antioxidant catalase and a blend of natural extracts. Find out more about it here. Read more about five causes of hair loss and find five tips for getting fuller hair here. What is the biggest problem that comes with thinning hair for you? This entry was posted in hair loss and tagged fuller thicker hair, get thicker hair, hair growth vitamins, hair loss, hair thickening vitamins, make fuller hair, make your hair thicker, supplements for thicker hair, thinning hair, thinning hair problems, tips for thicker hair, vitamins for thicker hair on May 17, 2017 by Nina Ivanovic. Hair care doesn’t need to be complicated and include hundreds of products! When it comes to hair care for men, just follow some basics and be smart about your routine and you will notice the difference. Here are five simple tips. Everyone has found annoying, ugly flakes on their shoulders at least once in their life. However, men are more prone to dandruff than women. The reasons why you struggle with dandruff are various: dry skin, harsh hair products, stress, hormones, skin conditions or yeast overgrowth. There is also a number of home remedies you can try, but usually, the most effective way is to buy a quality anti-dandruff shampoo. No man ever said “My hair is too thick” There are many vitamin and catalase supplements on the market. Pick a good and natural supplement that promotes hair growth and healthier hair. Our suggestion is CatalaseNow, hair pills designed to make your hair look more vibrant and younger. It includes a blend of vitamins and a powerful antioxidant catalase. Find the list of ingredients here. It’s not only women who can experiment with different cuts. The right haircut can do wonders, so don’t get stuck with the same haircut you’ve had for ten years. Your face shape, quality of hair and profession are criteria you want to consider. As we age, the quality of our hair and our face change, so have that in mind, too. This is a common mistake that both men and women make. By overwashing you strip your hair from natural oil and moisture. You risk making your hair and scalp dry. Not only can it lead to dandruff, but also hair that gets greasy faster, as your scalp will try to compensate for the lack of natural oil. If you just can’t skip your daily hair wash, at least try to use the mildest shampoo possible. How do you keep your hair soft, healthy and thick? This entry was posted in hair care and tagged best hair supplements, catalase supplement, get thicker hair, hair care, hair care for men, hair care products, hair care products for men, hair care routine, hair products you need to have, supplements for hair growth, vitamin supplements, vitamins for thicker hair on May 16, 2017 by Nina Ivanovic. Hair thinning and loss are among the most common concerns in adults today. While the loss of some hair throughout a person’s lifetime is completely natural and unavoidable, it is the unnatural loss that is the cause for concern. Loss in hair thickness and content may be caused by genetics, poor hair care, excessive use of chemical products, and consumption of unhealthy and nutritionally inadequate foods. In any case, your hair thinning and eventually falling out, and your hair growth being hampered, is not a pleasant experience, regardless of your gender. Fear not however, as there are ways by which you can overcome the damage and thinning out of hair, and get better looking as well as healthy hair. Following are some of the tried and proven tips, to be followed regularly for efficient hair growth. Using a plethora of shampoos and conditioners in your hair on a regular basis can actually cause more damage than the product labels claim to solve. This is because many of the commercially available products contain synthetic chemicals which can potentially disrupt the natural growth and maintenance process of your hair. Avoid products that contain an unusually large number of chemicals, which you can check on the product containers. Salmon: A great source of Vitamin D and protein, salmon is especially effective for thick and shiny hair, due to the additional Omega-3 fatty acid content. Strawberries: Chock full of antioxidants and vitamins for thicker hair, strawberries are additionally feasible due to their great taste! Almonds: Vitamin E is very important for proper maintenance of skin and hair, since it prevents UV damage. Almonds contain this vitamin in abundance. Beans: All the available kinds of beans are beneficial for hair growth and thickness, with kidney beans taking the cake due to the impressive protein and iron content. The catalase enzyme is responsible for the breakdown of hydrogen peroxide, therefore protecting the hair from damage and promoting regular, natural repair. Using vitamins for thicker hair, or a good catalase supplement such as the one offered by CatalaseNow can help accelerate the growth and natural maintenance of hair, leaving it shiny and gorgeous looking! You can read more about the individual ingredients and their beneficial qualities here. This entry was posted in hair care and tagged catalase supplement, hair growth, Thickness, Vitamins, vitamins for thicker hair on May 10, 2017 by Nina Ivanovic. Oh, don’t we all wish for a magical wand which would make our hair shinier, smoother, longer, thicker and (sometimes) less gray? Unfortunately, such thing does not exist. However, the good news is – there are simple tips and habits that could help you achieve or get closer to your hair goals. Naturally. Whatever your hair problem is, there is a simple DIY solution or several solutions. Here are five hair care tips for various problems. Maximize the effect of your hair care products by supplementing your hair with vitamins. If your nutrition is poor, there isn’t a product that can make it look great. CatalaseNow is a natural hair supplement in the form of pills. It contains a range of vitamins, minerals, and herbal extracts, such as nettle root extract, biotin, copper, vitamin B6, fo ti, and the powerful antioxidant Catalase. It is designed to promote thickness and youthful look of your hair. Dandruff is really annoying and hard to hide. Not only to hide but sometimes to get rid of. While there might be a number of reasons why you keep seeing these itchy, irksome flakes in your hair, one common cause is a dry scalp. You can easily combat dandruff caused by dry skin if you apply coconut oil to your scalp and leave it overnight. Coconut oil is known for its antifungal and skin soothing properties. Moreover, it is an ancient cure that has been used for thousands of years. No need for an expensive shampoo! Although there are hair products such as shampoos that contain clay, it is always better to stick to natural solutions. There are different types of clay. Clay is ideal for detoxifying and cleansing your hair and scalp from product buildup and toxins. Is your hair damaged? Has detangling your hair become a chore? It’s time to buy a wide-tooth comb. It’s a must for anyone with longer hair! It will help you detangle your hair without breaking it, especially if the hair is wet. No time to wash your hair in the morning? Or have you decided to wash your hair less frequently? (Way to go!) Greasy roots make you feel and look bad and disheveled. However, you can still avoid getting your hair wet and using shampoo if you dab baby powder or any kind of powder onto your scalp before going to bed and brush it out in the morning. Do you have any hair care tips for healthier hair? This entry was posted in hair care and tagged best hair products, getting thicker hair, good hair products, hair care, hair care products, hair products you need to have, hair supplement vitamins, hair supplements, make your hair thicker, repair damaged hair, tips for getting fuller hair on April 20, 2017 by Nina Ivanovic. Vitamins are good guys. We need them in order to feel great and look great. Consequently, an unhealthy diet might result in the unpleasant hair and skin-related changes. If you are wondering why your hair is thinning – a vitamin deficiency might be the reason or one of the reasons. There is a strong correlation between hair loss and a deficiency in certain vitamins. However, different vitamins help maintain and improve different aspects of our health and beauty. For example, it is known that vitamin B complex is essential for keeping your skin, nails, and hair beautiful. If you are looking for vitamins that promote hair growth, here is a list of four “hair growth vitamins”. Vitamin B6 is an essential nutrient that might be one of the most important vitamins when it comes to having healthy hair, nails, and skin. It helps maintain a proper hormonal balance and break down the protein that we have eaten. The more protein you eat the more vitamin B6 you need. Biotin (or vitamin B7) is a common ingredient in beauty products and supplements. 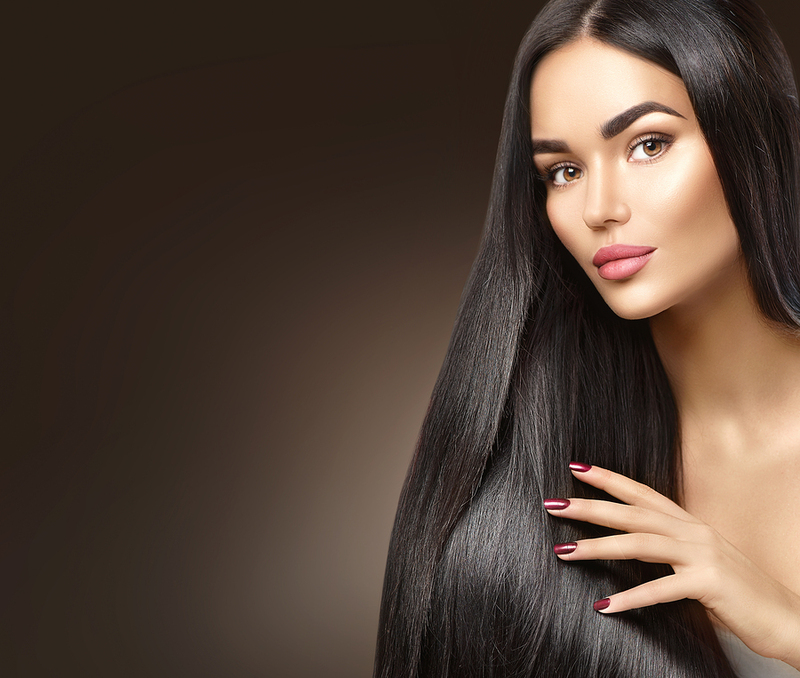 It is believed to make your skin, hair, and nails stronger, by improving the infrastructure of keratin. (Keratin is the building block of your nails, skin, and hair) Unsurprisingly, the lack of biotin might lead to hair loss and weak nails. Folic acid (vitamin B9) can be found in the majority of prenatal vitamin supplements, as it helps prevent neurological birth effects of a fetus. However, many women who take these pills also notice their hair getting thicker and fuller. Does folic acid stimulate hair growth? It seems so. The needed dosage of folic acid grows as you age. If your diet provides you with enough folic acid, then there is no need for supplements, otherwise, you might opt for one of the vitamin supplements. Vitamin C works as an antioxidant, meaning that it defends the body from the toxic effect of free radicals. It keeps your body healthy, young, and well-functioning. 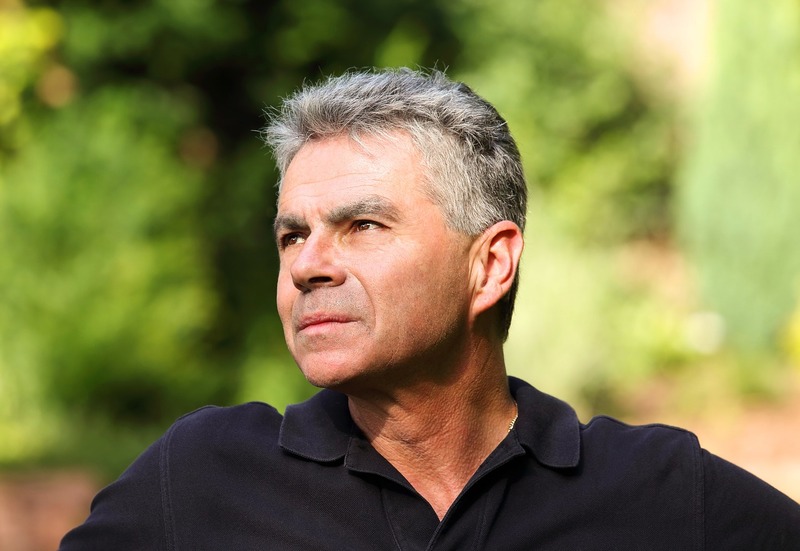 In addition to that, it might decrease hair loss and greying by fighting oxidative stress. CatalaseNow is a new natural hair supplement in the form of pills. It was specifically designed to provide your hair with necessary vitamins and minerals (hello thicker and healthier hair!) CatalaseNow contains vitamin B6, biotin, folic acid, and a super antioxidant Catalase. Check out the rest of CatalaseNow active ingredients. This entry was posted in hair supplements and tagged best hair pill, best hair supplements, get thicker hair, hair growth vitamins, hair supplements, how to get fuller hair, make your hair thicker, supplements for hair growth, vitamins for hair growth, vitamins for thicker hair on April 16, 2017 by Nina Ivanovic. It’s not only your house and closet that need a big spring clean. It’s time to clean up, declutter and improve everything in your life, including your hair care routine. With the seasons changing, your hair will be changing too. Don’t be surprised if you start losing more hair, or if your hair is greasier than usually. A spring clean up of your hair care routine will have a great impact on the way your hair looks. Oh, you know what I am talking about. All those products you bought, didn’t like, didn’t use, but never threw away. Check if they have expired. Don’t keep the styling products and conditioners you haven’t used in a year in your bathroom, otherwise, you’re risking an infection or an allergic reaction. Is hair dryer you’ve had since you were a child making weird noise? It’s better to ditch it and buy something new and safer. Once you have thrown away the products you don’t use, and very likely, will never use, sort out your hair product collection. All tidy and organized! When the old, unscary products are in the trash bin, let’s see what new products and tools you need this season. Re-evaluate your hair care routine, and make a list before you go product shopping. Would you like to change your hair style? Cut your hair shorter or go for a more natural look? It probably means that you will need different styling products. When you make a list, you will have an overview of the products you really need. Instead of, you know, buying the products because they smell really nice and fruity. With so many products on the market, sometimes it might be hard to choose the right ones. One thing is for sure, please avoid the products which contain harmful and useless ingredients. Instead, opt for natural hair products and hair supplements, such as CatalaseNow. It is packed with the powerful antioxidant Catalase and a blend of vitamins, minerals and plant extracts, which promote healthier and thicker hair. Learn more about CatalaseNow here. Now is the time to try some new products and routines. How about leaving the mask made of coconut oil on your scalp and ends overnight? It works wonders for me, I wake up with noticeably softer hair! Or changing the diet, so that you eat more food which is beneficial for your hair – you can find the list of foods here and here. Okay! 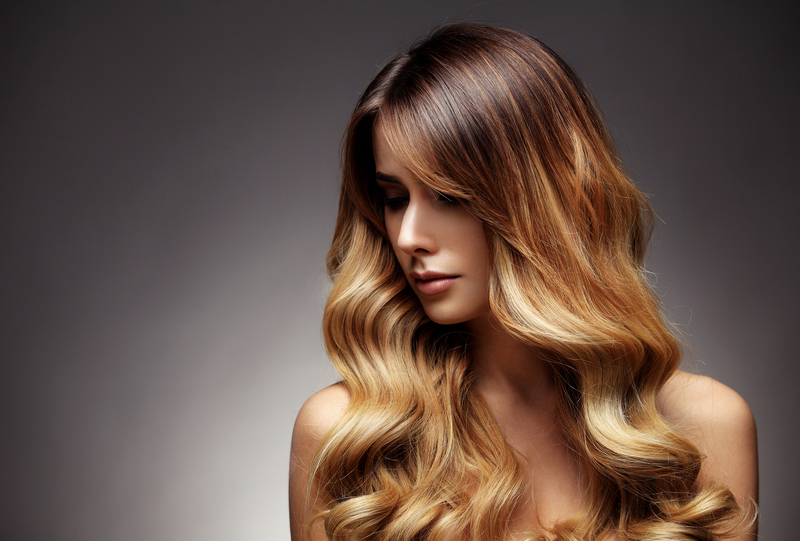 Seems like you’re ready to have healthy and shiny hair this spring! This entry was posted in hair care and tagged best beauty products, catalasenow, hair care, hair care products, hair care routine, hair care routine spring cleaning, hair products you need to have, hair supplement vitamins, hair supplements, spring cleaning your hair care routine, supplements for thicker hair, tips for getting fuller hair on March 30, 2017 by Nina Ivanovic. If you are committed to maintaining your hair healthy and thick, you probably want to maximize the effects of hair care. Why just rely on hair products, when you can do more than that? Such as – eat food for healthy hair. In addition to that, these foods will benefit your skin and your overall health. The best way to do it is by feeding your hair with vitamins and minerals from the inside out. We have already written about foods that promote better-looking hair. If you’re wondering what else is good to eat for thicker, fuller hair, here is a NEW list. Just pay a bit more attention the next time you go grocery shopping and include these on your to-buy list. Greek yogurt is tasty and goes great with all types of fruits. What’s more – it is packed with protein and vitamin B5. Ensuring that you take enough protein throughout the day is important for maintaining healthy and voluminous hair. Also, vitamin B5 (known as pantothenic acid) is believed to promote hair growth and keep your hair looking great. 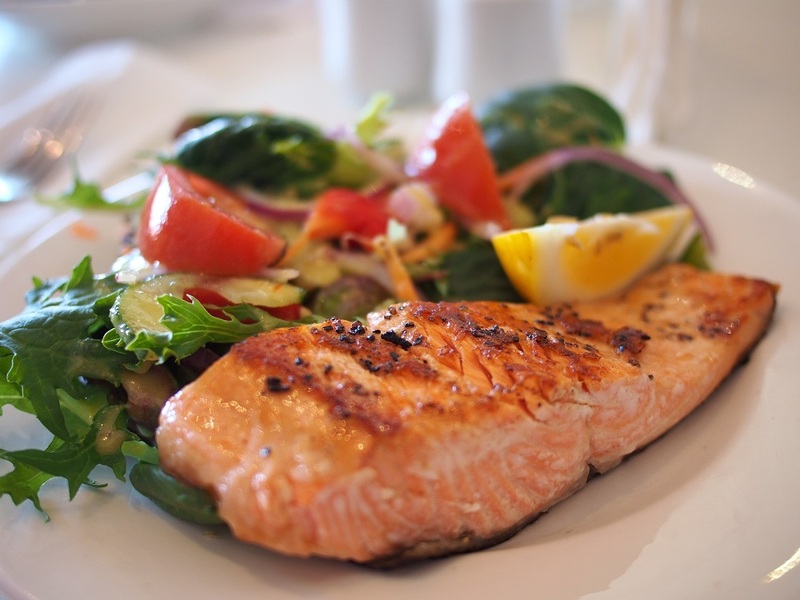 Fatty fish and salmon can be found on numerous lists of food for healthy hair. It’s essential for your beauty due to being an important source of omega-3 fatty acids, protein, and B vitamins. However, make sure you buy wild salmon and not the farm-raised one. Oysters are on this list because they are rich in zinc. Just two oysters contain more than a recommended daily amount of zinc. 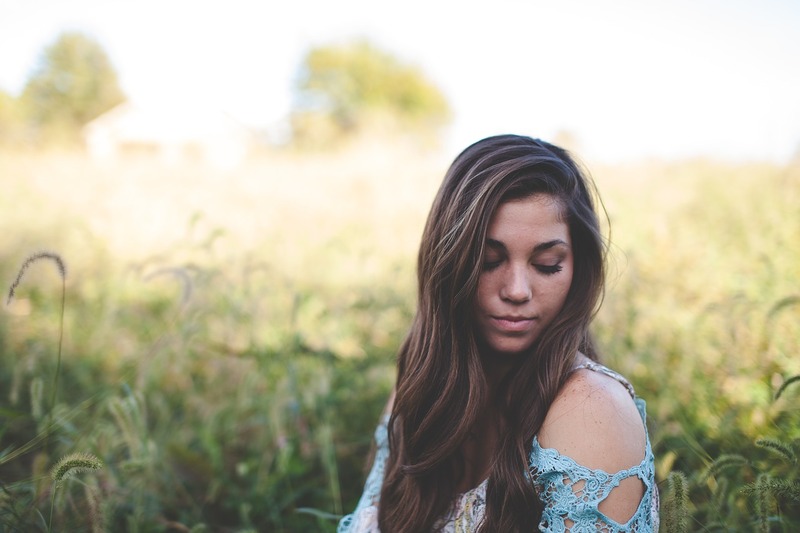 Wondering why zinc might be beneficial for your hair? It is believed that zinc deficiency can lead to hair loss and that increasing your daily zinc intake can regulate hormonal balance and promote hair growth. Amazing! Barley and other whole grains are known as a healthier alternative to refined grains, due to being rich in vitamins, minerals, and fiber (and low in calories!) It is particularly rich in vitamins, minerals, and antioxidants that are identified as crucial to promoting hair growth and restoring hair pigment. Pick your favorite way to eat more barley. Uh, not very fond of eating salmon? Oysters are too expensive? Luckily, there is an alternative. You can find good hair supplements on the market that contain necessary ingredients for healthier and thicker hair. CatalaseNow is a new product that uses a blend of natural vitamins and herbs – such as barley grass, zinc, vitamin B5, vitamin B6 and biotin. In addition to that, it contains the antioxidant Catalase and is designed to support thicker, fuller and better-looking hair. Read more about the active ingredients and their benefits here. This entry was posted in healthy food and tagged best foods for hair, food for healthy hair, fuller thicker hair, getting thicker hair, hair growth vitamins, hair supplement vitamins, healthy food, healthy foods, tips for getting fuller hair, vitamin, what should i eat for healthy hair on March 29, 2017 by Nina Ivanovic. How often do you look at the list of ingredients of the hair product you’re buying? We often don’t have enough time to study the label, so we just put it in the basket, hoping to achieve the looks that are advertised. However, you should be paying more attention to the list of ingredients – some of them can be harmful to your health or, at least, bad for your hair. They might make your hair look better – but only temporarily. In the long run, it’s better to avoid them. Here are four hair product ingredients to watch out for. Silicones are usually hidden as the ingredients with the name ending with -cone (dimethicone, for example) Although not detrimental to your health, they certainly don’t make your hair healthier either. They do make it look smoother and shinier in the beginning, and that’s why you’ll love your products with silicone, especially if you have frizzy and dry hair. However, they just make hair APPEAR silkier. In the long run, they build up and start suffocating your hair, weighing it down and making it look dull. Beware of formaldehyde and Brasilian blowouts! Also known as a keratin treatment, a Brazilian blowout is used to smooth frizzy hair, straighten it and make it look healthier. Sounds great? Then you probably don’t know that the lotion used for this treatment contains formaldehyde, a nasty chemical that can cause cancer, irritate skin, eyes and throat. No wonder, Brazilian blowouts are banned in many countries. Read more about it here. We all love a nicely scented shampoo, however, there are a lof nasty chemicals hidden under the term “fragrance” on the label. Therefore, look for the ones with natural fragrances – such as essential oils. It’s hard to avoid it. Most commercial shampoos contain it as one of the first ingredients on the list. It’s SLS that makes a lather and makes our hair feel clean. (Don’t you associate foam with cleanliness?) But, don’t be fooled. Sodium Lauryl Sulfate irritates skin, overdries hair and can be damaging to the immune system. Opt for the organic and natural cosmetics, both for your skin and hair. It might be a bit more expensive, but it’s a form of self-care. Your hair products should contain vitamins, minerals, and herbal extracts. CatalaseNow is a natural hair supplement which supports thicker, healthier and younger-looking hair. It contains the powerful antioxidant Catalase and a blend of natural additives. Check out the rest of ingredients here. This entry was posted in hair care, hair supplements and tagged hair product ingredients, hair products, hair products for long hair, hair supplement vitamins, healthy hair pills, natural beauty, tips for thicker hair, vitamins for thicker hair on March 24, 2017 by Nina Ivanovic. Let’s talk about benefits and side effects of hair boosting supplements. There is only so much that hair products such as shampoos, hair conditioners, masks, and serums can do. They can soften your hair and promote better blood flow, but they are not omnipotent. If you care about your hair and its look, you should feed it both inside and outside. Hair boosting supplements are a good alternative for those who do not have time and energy to improve their diet with foods that are beneficial for their hair. However, many people are concerned about the side effects of hair pills. Here’s what we know. Hair: Hair supplements contain a blend of herbal, vitamin and mineral additives specifically designed to promote thicker, fuller hair. Ingredients such as vitamin B5, vitamin B6, biotin, Fo Ti, and nettle root extract may help your hair look younger and more vibrant. Skin and nails: The benefits of hair boosting supplements are not only limited to your hair! Your skin and nails need similar nutrients like your hair. This is especially true when it comes to Vitamin B complex. Don’t be surprised if you notice that the quality of your nails and skin has improved after taking hair supplements. Overall health: Catalase enzyme is found in many hair boosting supplements. According to some sources, Catalase enzyme is critical to our health and might have a number of other benefits, such as increasing life span and fat reduction. You’re probably wondering – are these hair pills safe for me? First thing first, have a look at the label and the ingredients. For example, CatalaseNow hair pills contain vitamins, minerals and plant extracts that are great and necessary for your body. If you are a healthy individual, there should be no reason for worry. However, if you have a known medical condition and take medicines prescribed by your doctor, it is recommendable to consult your physician before taking vitamin supplements. Of course, this does not apply only to hair boosting supplements, but ANY dietary supplement. Also, if you are allergic to something, like wheat or soy – check beforehand if the product contains it. This goes without saying – don’t take more than a recommended dose! CatalaseNow is a new product, designed to naturally support healthier and more vibrant-looking hair. It is packed with the antioxidant Catalase and a blend of vitamins and herbs. Check out the list of ingredients here. All you need to do is take two capsules after a meal, once a day. This entry was posted in hair supplements and tagged best hair pill, best hair supplements, catalase for hair, catalase supplements, hair boosting supplements, hair growth vitamins, hair supplement vitamins, hair supplements, hair thickening vitamins, healthy hair pills, make fuller hair, make your hair thicker, supplements for hair growth, supplements for thicker hair, vitamins for thicker hair on March 21, 2017 by Nina Ivanovic.